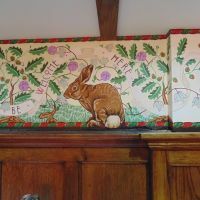 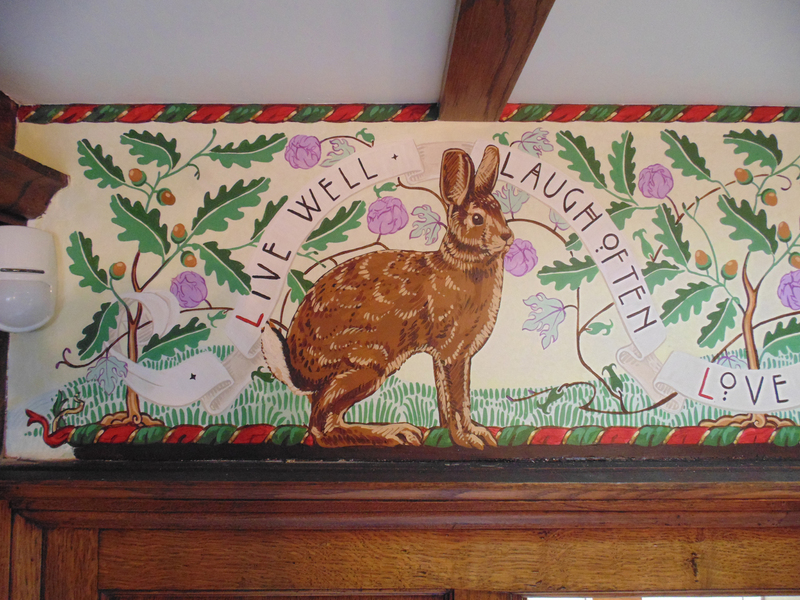 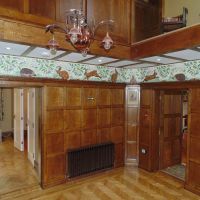 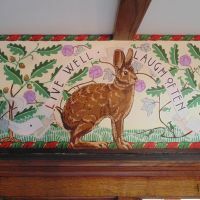 Arts and Crafts style rabbit frieze! 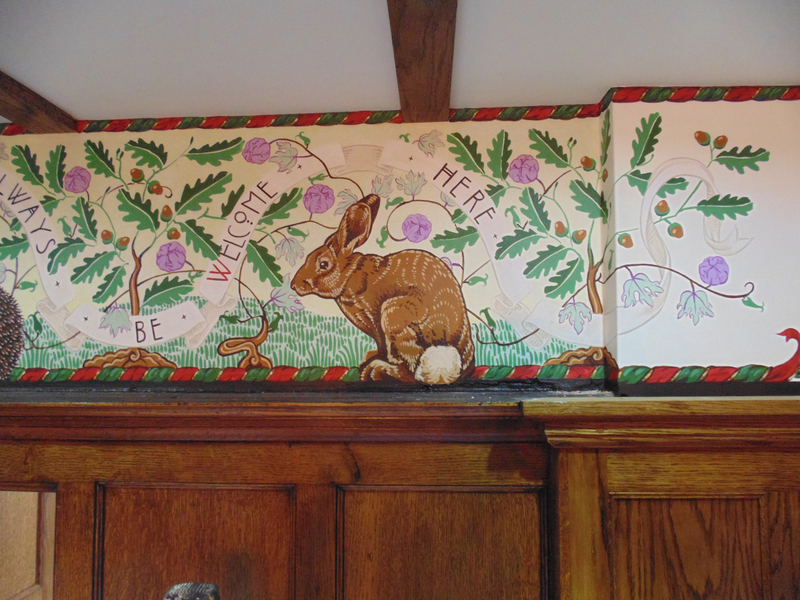 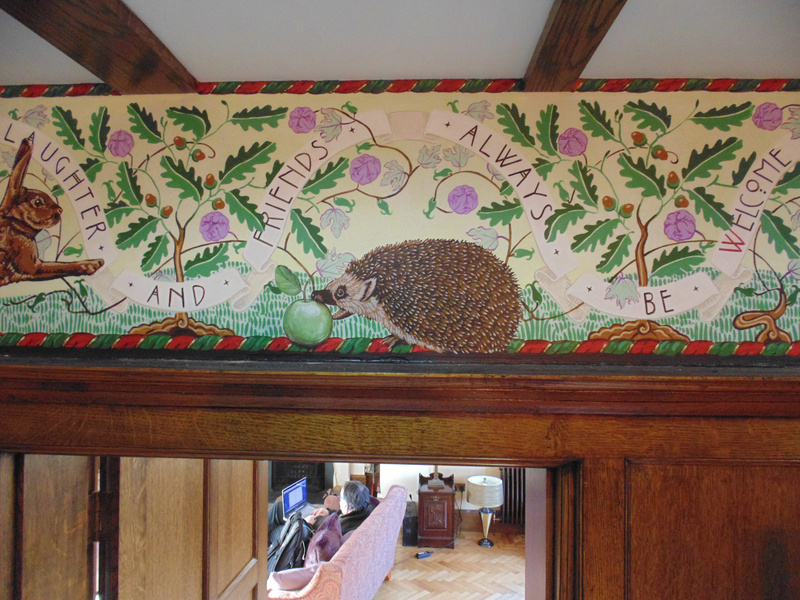 I completed an 8 metre long Arts and Crafts style frieze in St Albans in February 2016. 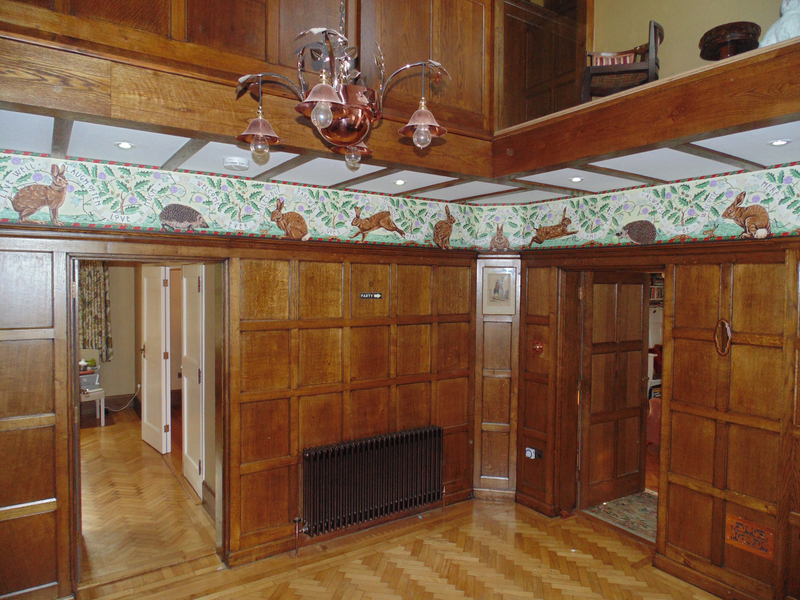 It is all acrylics on to emulsioned plaster walls. 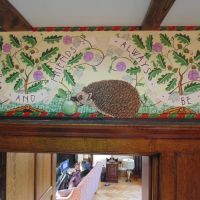 Rabbits and hedgehogs are family themes.